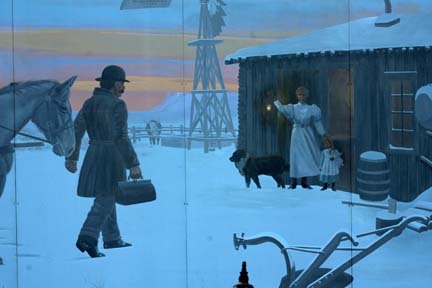 This mural depicts an early doctor making a house call to a sod house in winter. It is dedicated to the health care professionals of Woods County, Oklahoma. 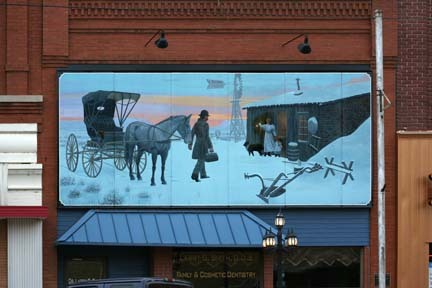 The Run was painted by Roger Cooke in 1999 at his studio in Oregon, transported to Alva and mounted.